Nokia 3310 was an iconic and one of the most successful phones of all times. It has gained a cult status due to its durability. Even to date you could find various videos and memes about the phones strength from being referred to as Thor’s Hammer, being dropped from an aeroplane to being crushed under a car. So much so that it features as ‘National Emoji’ of Finland. The emoji is referred as "The Unbreakable”. It was indeed a delightful moment when HMD global announcing its comeback. 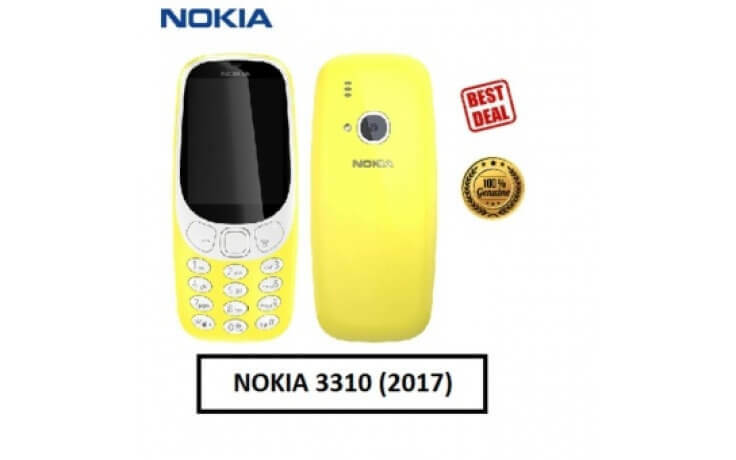 The design of the all new Nokia 3310 2017 mimics its predecessor, features a 2.4-inch TFT display, 2MP rear camera with Flash, 64MB or internal storage with memory card support of up to 32GB. All of it is packaged in a durable plastic body with rounded corners and a removable back cover which holds the 1200mAh removable battery promising the legendary battery life with standby time of upto a month on a single charge. The UI of the phone is based on Nokia series 30+, with basic functions, like an FM radio, Bluetooth, the Opera Mini web browser, a voice recorder and the Snake game which has been replaced by Gameloft's Snake Xenzia with updated modes and graphics. The phone is very easy operate with the Keypad and trackpad. When 3310 rings with iconic Nokia tone one couldn’t help but feel Nostalgic about it!